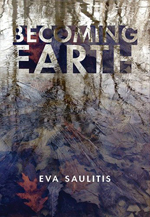 In this posthumous collection of essays, Eva Saulitis meditates on mortality, the art of living fully, and her advancing illness and nearing death, confronting the waiting question without fear or sentimentality: how are you going to live when you know you are going to die? After beating breast cancer in her late forties, Eva Saulitis again faces the shadow, knowing this time the result will not end well. Saulitis revels in the nostalgia and secret pleasures that come from knowing it's all fleeting. She searches for answers from European poets and Buddhist scholars, from women in treament chat rooms, from family, from routine; she looks out into the wilderness, at the salmon dying in the river without the ease of morphine, at stone structures broken from water freezing, expanding inside. Becoming Earth is the account of a woman living life in the presence of death, trying to make sense of a world that will keep going, even though she won't. 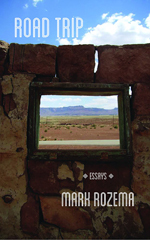 Road Trip is a collection of autobiographical essays that honor the places, people and other living creatures that have given shape and meaning to one man's life. Framed by essays about the life and death of loved ones, the book explores the importance of family, friendship and what it means to care for another human being. Above all, Road Trip is about transformations that happen in ways we may not always understand or welcome; it's about travelling down unknown and unexpected roads with good humor, generosity and a spirit of adventure. 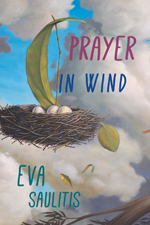 After a devastating diagnosis of metastatic breast cancer, biologist and poet Eva Saulitis found herself gripped by a long-buried childhood urge to pray. Finding little solace in the rote "from the fox-hole please Gods" arising unbidden in her head, she set herself the task of examining the impulse itself, waking every morning in darkness to write poems, driven on by the questions: What is prayer? What am I praying to? What am I praying for? Who is listening? Each day's poem proposed a new and surprising answer as, over two years, she traced the questions back to her origins, her Latvian roots, her peasant grandmother, her war-haunted father, her secret-bearing mother, her childhood Catholicism, her obsession with the natural world. Moving from inward to outward, among radically different geographies (coastal Alaska, Latvia, and Hawaii) and spiritual influences (Catholicism, mysticism, Zen Buddhism) as well as forms, these biologically precise poems range widely in their search. 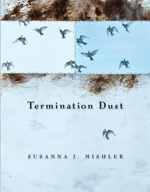 Unexpectedly, these prayer-poems, forged out of a solitary confrontation with death, take a reader not out of, but deeper into physicality—of the body, the earth, and language itself. As Saulitis learns, what is most desired is not transcendence, but for as long as possible, "her hands thrust deep in the world." 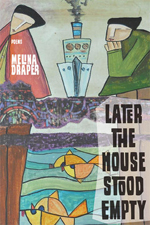 The poems of Later the House Stood Empty steam up from the banks of the Río de la Plata, exploring its history—personal, political, and geological—from the tip of a dinosaur tail found on the beach and the expeditions of Darwin to the lingering devastations of the 1970s military coups. Their speaker straddles two worlds: between Argentina and Uruguay, between Buenos Aires and the small town of Colonia, at once of this place and passing through, both foreigner and daughter of the river. In short lyrics pared down to what is left when love and hope have gone, Draper documents overlapping layers of time, stitched together by desire, beauty, longing, tragedy, and loss. 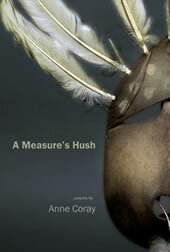 In these lyrical meditations on fame and death, Anne Coray celebrates the making of art and the gifts of language while reminding us that wordly pursuits are folly. 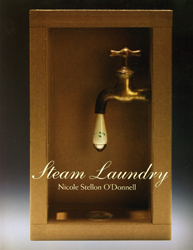 These are poems for the bereaved, to be read at funerals and wakes or during the course of any ordinary day, offering insights on loss and longing that are oddly comforting. Oddly, because there are deep and oftentimes contradictory emotions at play here, but also hard-won reconcilliations. At the heart of this book is the complex interplay between two spirited minds. Each of Margo Klass’s box constructions is an invitation to enter among objects in space and make of them what one might. Frank Soos has taken up that invitation. Margo’s constructions and Frank’s responses talk to each other, sometimes agreeably, sometimes ironically, sometimes earnestly, and sometimes flippantly. This collection represents a sample of five years of their aesthetic sparring. Whoever picks up this book is invited to play along. 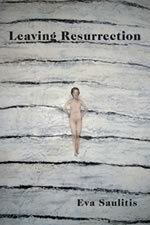 Leaving Resurrection is one woman’s love poem to the Alaskan places and people that have taken possession of her soul.